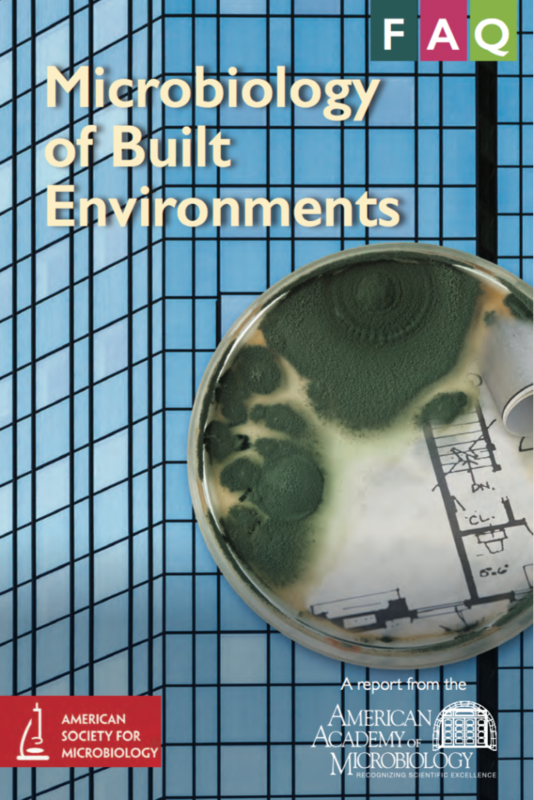 FAQ on Microbiology of Built Environments from the American Academy of Microbiology – microBEnet: the microbiology of the Built Environment network. Built environments are the structures that humans create to shelter from the outdoors and provide spaces for living, working, playing, and getting places. Along with humans, pets, pests, and house plants, built environments house a range of microbes. 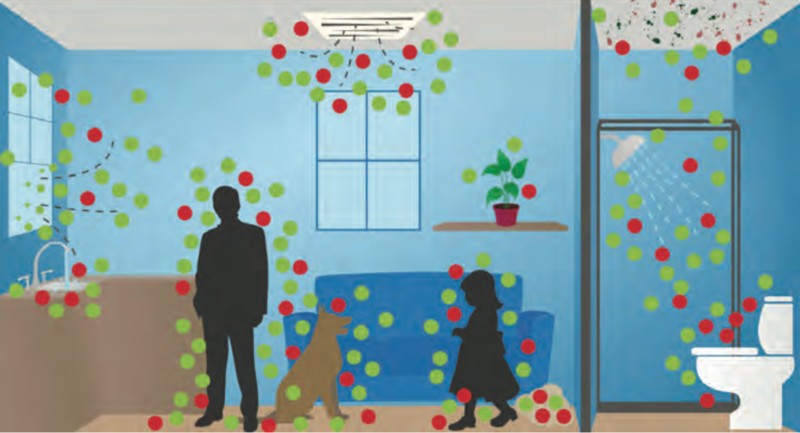 Preliminary studies indicate that indoor spaces have distinct microbial communities, influenced by building materials, ventilation and airflow, moisture, and human and animal activity. The Academy convened a colloquium in September 2015 to examine the role of complex microbial ecosystems found in built environments, including their effects on building chemistry and human health. Studying the microbiology of built environments can change the ways we design, build, operate, occupy, and clean our indoor spaces. The report is available as a PDF here. What are built environments and why are these ecosystems important to study? 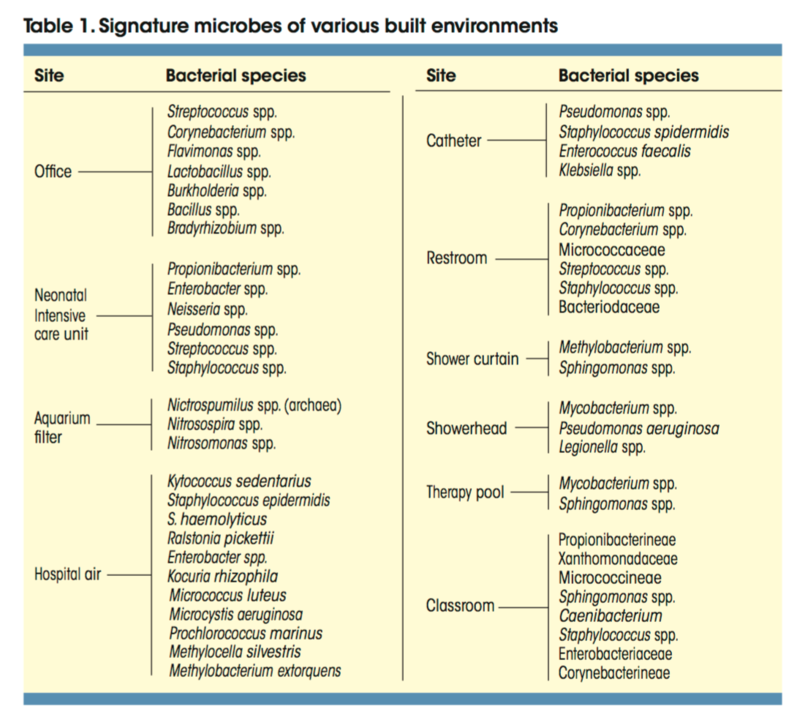 What microbes are found in built environments? How does microbial metabolism affect the chemistry of built environments? How do microbes in the built environment affect human health? Is there such a thing as a healthy indoor microbiome? How do we foster collaborations among scientists who study the built environment using different paradigms? Will studying microbiology of built environments change the ways we design, build, operate, occupy, and clean our indoor spaces? Scientists can build Internet platforms to share re- search ndings, protocols, ideas, presentation mate- rials, and data. The microBEnet, a project funded by the Alfred P. Sloan Foundation and run out of the lab of Jonathan Eisen at the University of California, Davis, is a particularly useful resource. Users have access to blogs, simple guides, and social media groups, and they can share slides and videos on the microbiology of the built environment (www.microbe.net).